The new PV50U is a new evolution for covert video recording. It allows you to have a high grade covert video DVR that is nano-sized for both use as body recording and stationary recording. Use the 2.5MM AVP cable with the PV50 or any 2.5MM Lawmate camera to power it directly from this device. Its small size allows you to hide it virtually anywhere. Paired with the 5V camera of your choice, the PV50U allows endless possibilities for covert recording! 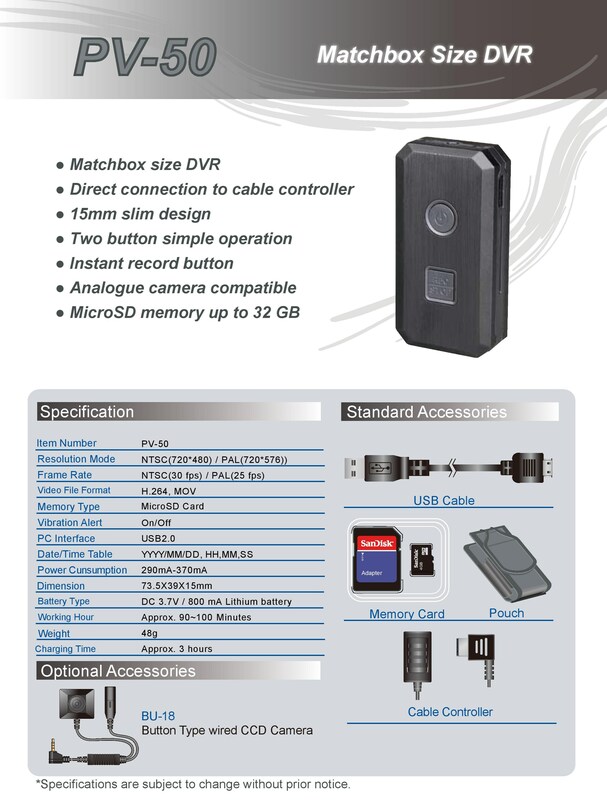 The displayed shipping price is for '1' PV50U Micro Video Blackbox DVR Recorder. To find the shipping cost for all your items, please view your cart.